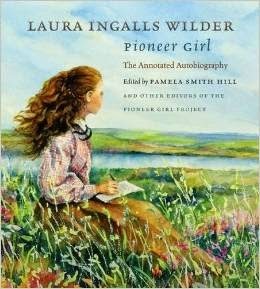 As I read and learn more about Laura Ingalls Wilder, I am fascinated by the way readers experience history through literature. John E. Miller wrote Laura Ingalls Wilder's Little Town: Where History and Literature Meet to explore the idea that historical truth and literary truth complement one another. LIW's Little Town intrigued me. I was excited to read this book that focuses mostly on De Smet, South Dakota. However, it was a slow start for me to get into the book. "Much can be inferred from this episode about the history instruction of the time. It was nationalistic, patriotic, and didactic. The past pointed to the present and reached toward the future, explaining the high degree of progress and perfection that the nation had achieved. It was also conventional and elitist...Understanding history required putting the facts into chronological order and observing how one development necessarily led to another...Thus, if one could memorize everything and avoid any mistakes, one would 'know history.'" Another quote, from chapter nine resonates with me. "Laura Ingalls Wilder's novels are filled with such joy and delight that the reader is tempted at times to forget just how dull small prairie towns were." 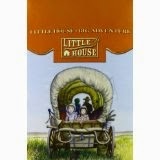 Mr. Miller also discusses how LIW wrote the Little House books from as a private narrative. Instead of focusing on all that was happening in the towns, she mostly focused on what took place right at home. The final chapter of the book discusses two artists of the prairie, the painter Harvey Dunn and the writer Laura Ingalls Wilder. When I turned the final page, I found myself wanting to read more of Mr. Miller's thoughts comparing real history to LIW's historical fiction. I really desired a conclusion chapter in Laura Ingalls Wilder's Little Town, if nothing else. Despite the slow start and abrupt ending, this book was full of good information and was well researched. 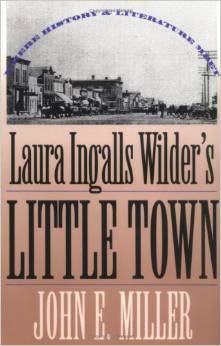 Laura Ingalls Wilder's Little Town is certainly worth reading for adult (or teen) fans of Laura.